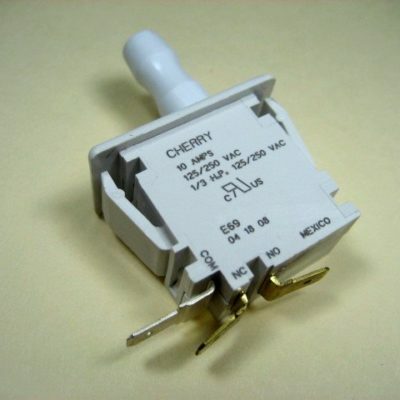 White Nordyne push-in furnace door switch mainly found on CMF furnaces. Connections for 3 wires. Markings on switch say 10 amps, 125/250 VAC, 1/3HP. Replaces 304629000. 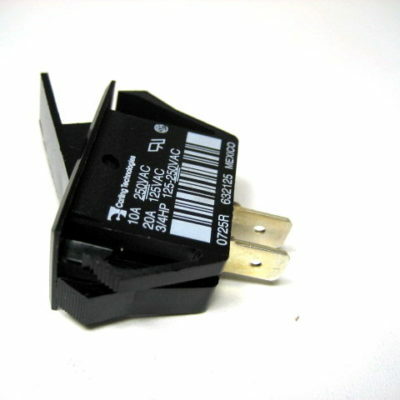 Black Nordyne lever furnace door switch. Connections for 2 wires. Markings on switch say 10 amps @ 250 VAC, 20 amps at 125 VAC, 3/4HP. 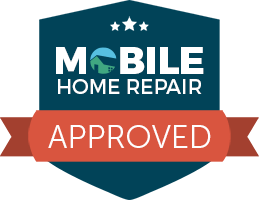 Replaces 632125, 632205, 632319. 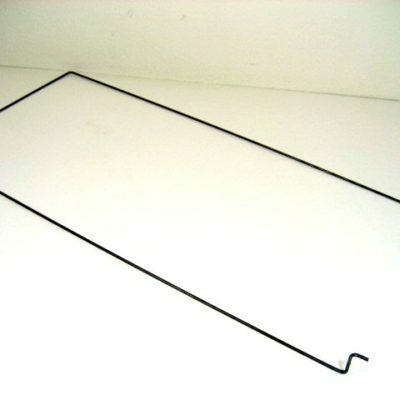 Furnace door latch kit mainly found in CMF & CMF2 furnaces. Does not include clip. Replaces 103887000. 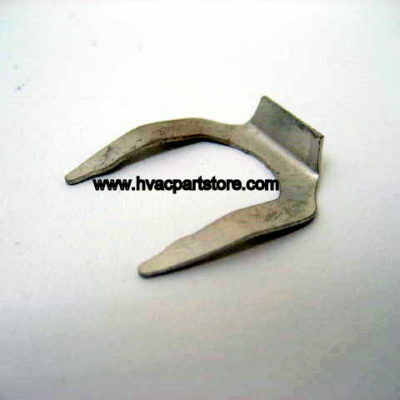 Wire filter clip for Nordyne CMF2 gas furnaces. Retainer measures approximately 14-3/8″ x 26-1/4″. 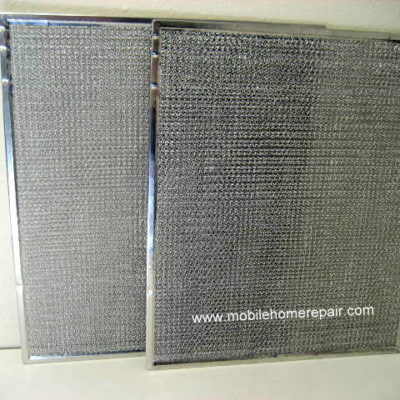 Pair of aluminum mesh 17×19 filters for use on a-coils. Washable. 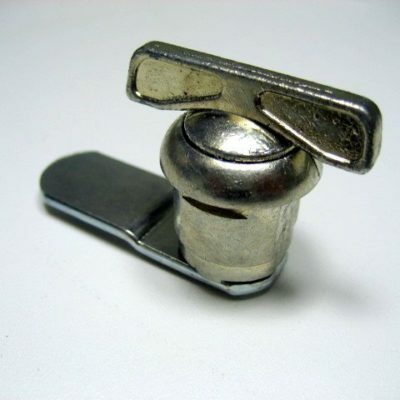 Wire filter clip found mainly in E1, E2 & E3 furnaces. 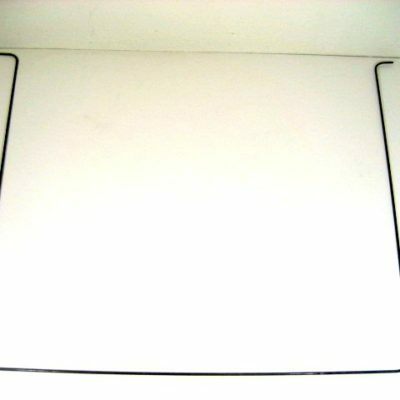 Measures 10.75″ wide x 24″ long with curve hook on end. 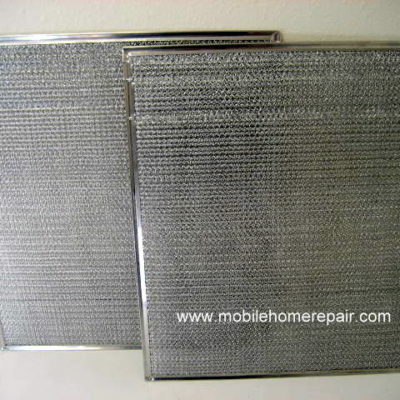 Pair of aluminum mesh 16×19 filters for use on a-coils. Washable. Filter retainer wire used on many Nordyne MGHA, MGBA, MMHA, MMBA, MGHB, MGBB, MMHB & MMBB furnaces. Measures approximately 10.5″ x 19.5″. 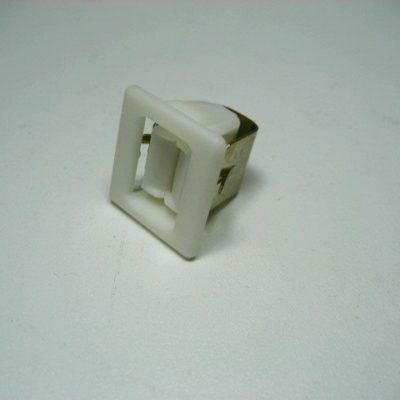 Wire filter retainer clip used in M1 furnaces. Measures 19″ wide x 20″ long. Replaces 669065. 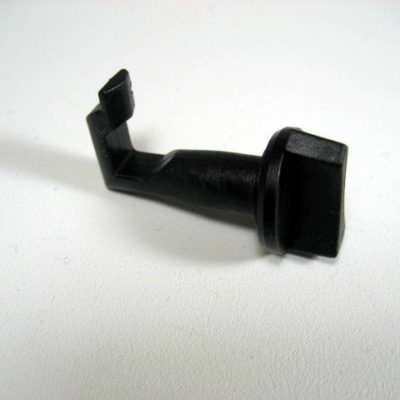 Black plastic pawl latch measures 1.5″ long. Replaces 632330 & 632330R. Stiff blue Poly-Flo hog hair filter replacement measures 19.50″ wide x 28″ long x approximately 1/2″ thick. Washable. Replaces 669064. 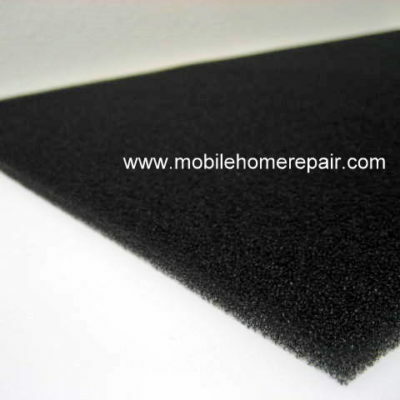 Washable foam filter used in CMF & CMF2 Nordyne gas furnaces. Measures 16″ wide x 23.5″ long x approximately 1/4″ thick. Replaces 300964000 & 669073. Stiff blue Poly-Flo replacement hog hair filter measures 20″ wide x 22″ long x approximately 1/2″ thick. Fits M3 furnaces. Washable. Replaces 669363. 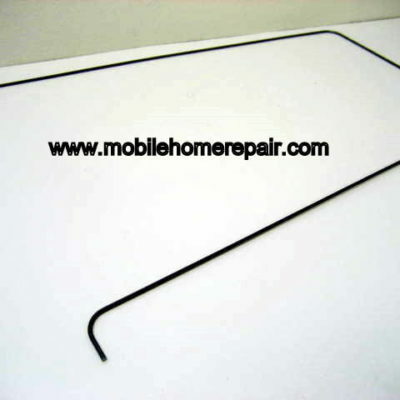 Furnace door latch clip for the 103887000 latch kit. 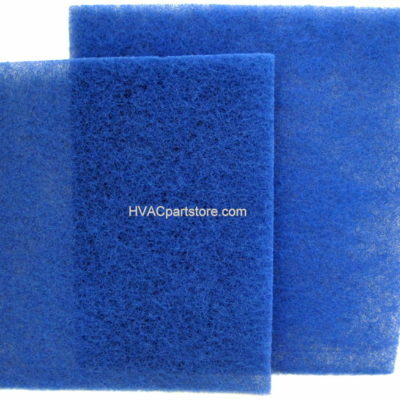 Stiff blue small Poly-Flo replacement hog hair filter. Measures 14.25″ wide x 20″ long x approximately 1/2″ thick. Washable. Replaces 668780 & 669086. Poly-Flo polyester furnace filters are a new inexpensive breakthrough in filters. Stiff blue filter measures 16″ wide x 20″ long x approximately 1″ thick. Replaces cardboard-framed filters. Washable. Easily trimmed for custom applications. Poly-Flo polyester furnace filters are a new inexpensive breakthrough in filters. Stiff blue filter measures 16″ wide x 19″ long x approximately 1″ thick. Replaces cardboard-framed filters. Washable. Easily trimmed for custom applications. Plastic female door latch with metal clip. 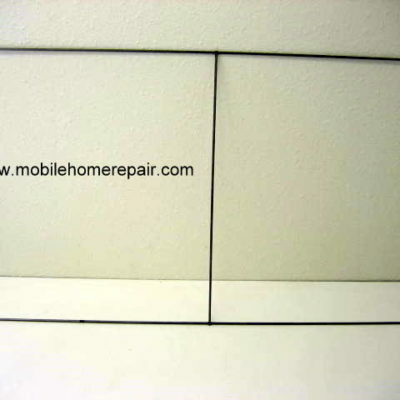 Measures 3/4″ x 3/4″. Replaces 668420.